Evoking the familiar spirit of Khalil Ibrahim’s beloved East Coast once more, this is a variation of the work of his East Coast Series, where the artist was inspired by his rustic upbringing in Kelantan. Featuring a group of young men and women enjoying the beach during the wee hours of the morning. Differences in texture and colour combined with Khalil’s artistry beautifully bring out the details of the beach, the sand, the background, the sky, and the detailing of the vibrant colours of their subjects’ apparels. apparels with his artistic prowess. 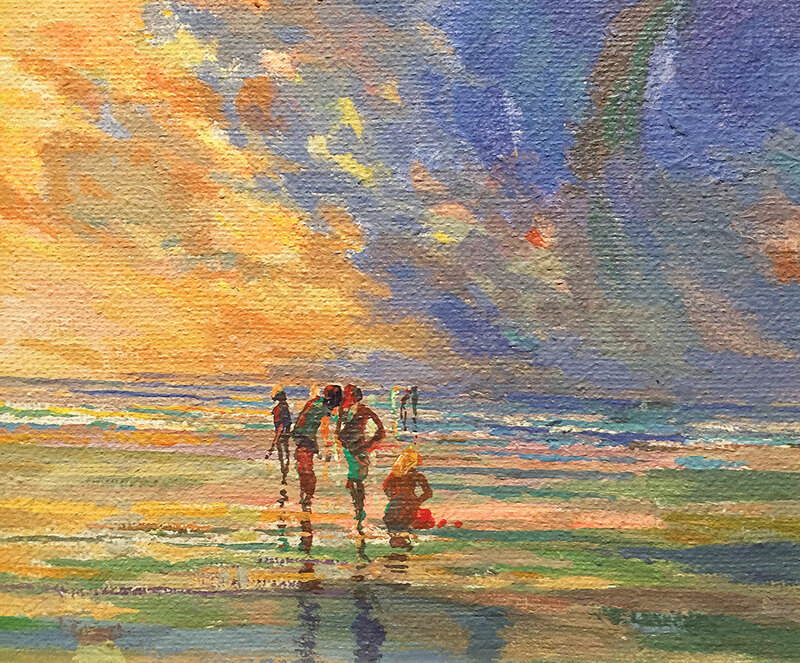 Captured in this piece are the appreciation for the beauty of the countryside beaches and the warmth of the sunrise.